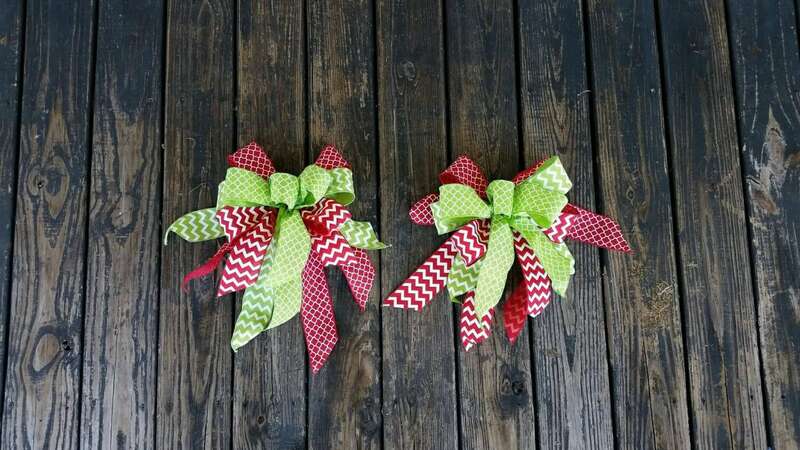 Want to spruce up your mail box for the Holidays? 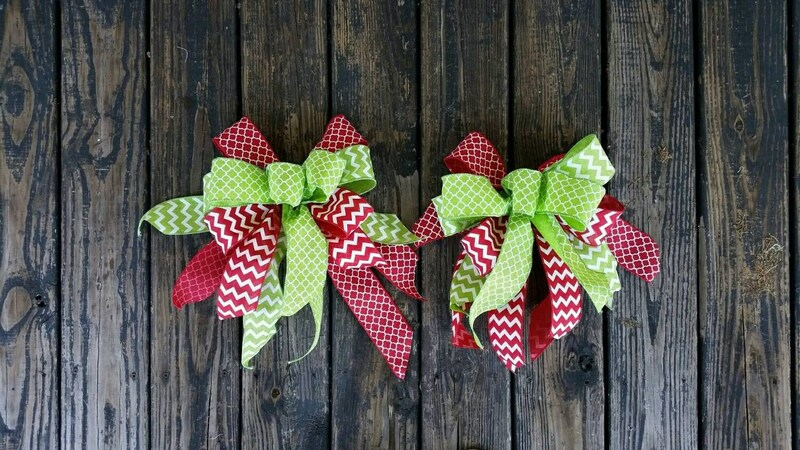 Perhaps your wreaths still look beautiful but the bows are a bit worn. 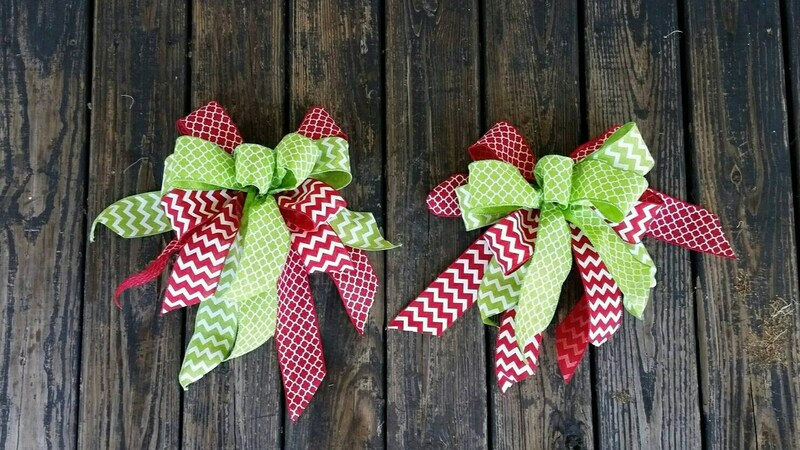 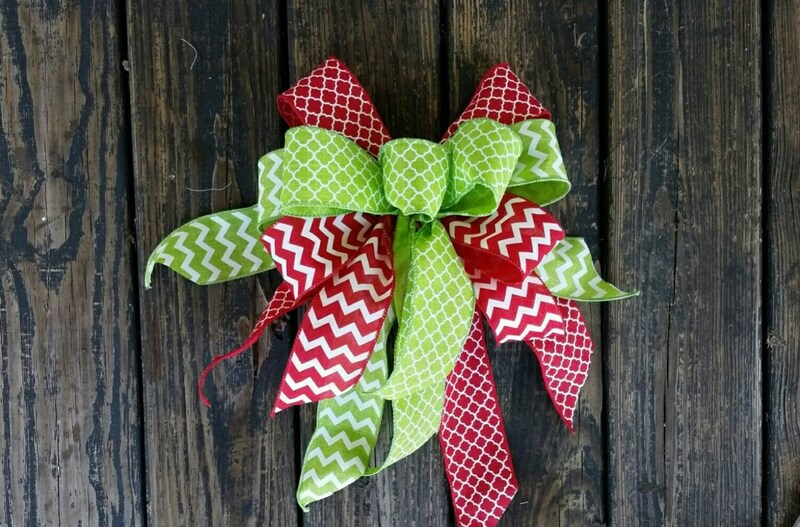 Maybe you have a couple of special gifts for a couple of special people in your life and you want something more than the store bought, plastic bows to make those gifts really stand out. 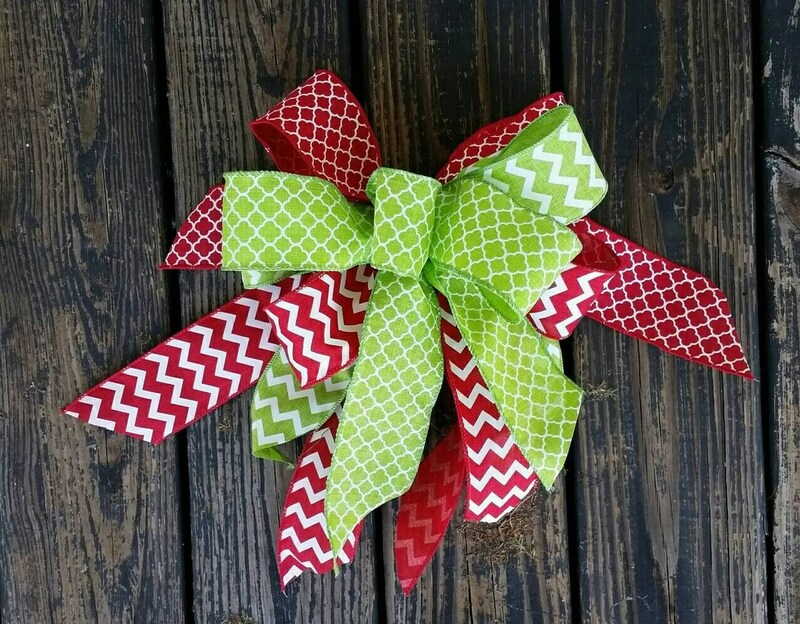 Each bow measures approximately 12 inches wide by 15 inches long.